This lineman has the courage to climb “Where Eagles Dare”! 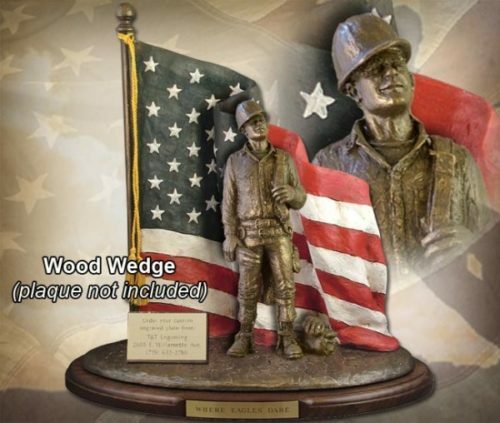 Celebrate the American heroes that power our homes and lives with this handmade sculpture by Michael Garman. Handmade to order. Where Eagles Dare is made to order. Please allow up to 3 weeks for delivery. 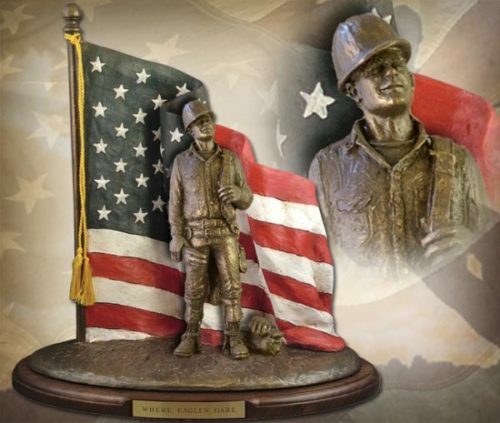 Call or email us to discuss all the ways you can personalize this sculpture. Call 800-731-3908 or email artwork@michaelgarman.com. Sculpture measures 14.75″ x 14.5″ x 7″. ©2004/2006. Bronzetone finish. 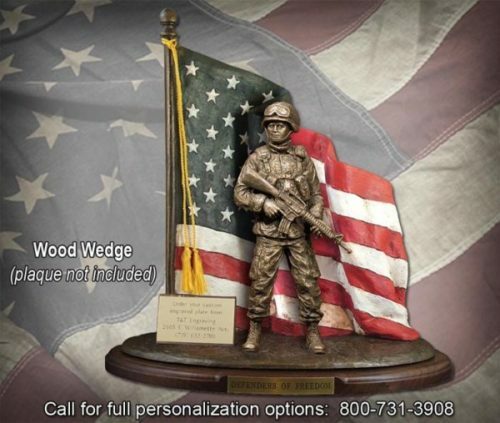 Includes wood base and “Where Eagles Dare” engraved plaque. #MG1140.